If there’s one building that defines the entire city of Rome, it’s no other than the Colosseum. Found in the heart of the Italian capital, this magnificent landmark was constructed for the Roman people. Since then, it has captured the hearts of all who have seen it. Learn more about it in this guide. Also called the Flavian Ampitheater, the Colosseum got its name from the Colossus of Nero, a gigantic statue that once stood near the building. Yet this structure was commissioned by the emperor Vespasian around AD 70 to 72 as a gift to the Roman populace. At the time, the empire was still reeling from the excesses of Nero’s rule. So as a sign of giving back, Vespasian had Nero’s palatial estate torn down. This includes filling up a man-made lake to serve as the site for the Colosseum. While Vespasian didn’t live long enough to see the Colosseum being completed in AD 80, his son Titus inaugurated it with much aplomb. The Colosseum opened to the public with 100 days of games, including thousands of animals being killed for sport. It then became the city’s main venue for (often grisly) live entertainment. At its peak, the grand amphitheater had an average audience of 65,000 spectators; it can hold up to 80,000 people. However, with the fall of the Roman Empire, the Colosseum also fell into disuse. Damaged by natural calamities, its stones were eventually used in the construction of other landmarks such as the Palazzo Venezia and St. Peter’s Basilica. Thankfully, this quarrying came to a halt upon the orders of Pope Benedict XIV in the 16th century. After all, the Colosseum was considered as the site of martyrdom of some Catholic saints. While this has not been conclusively proven, it spurred succeeding popes into funding repair and restoration efforts for the grand amphitheater. This also led to using the area for the Stations of the Cross on Good Fridays, a tradition that continues on to this day. At present, the Colosseum is one of the biggest tourist attractions in Rome, receiving around four million tourists every year. A declared UNESCO World Heritage Site, the amphitheater is currently being restored part-by-part to ensure it still stands for the next generation of Romans. 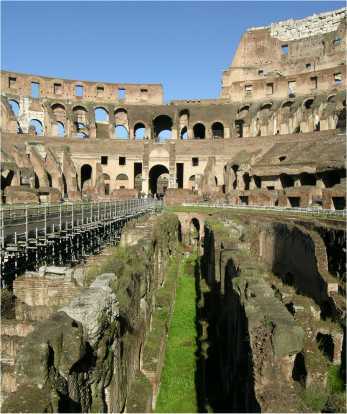 Instead of a backstage, the Colosseum has the Hypogeum. This series of underground chambers were constructed as a holding area for gladiators and wild animals, while they await their turn to be brought into the arena. It also featured a series of tunnels that allow non-combatants—such as non-fighting slaves and actors—to move from one part of the Colosseum to another, while remaining hidden from spectators. Even back during the days of the Colosseum, there was the concept of the ringside seat, as the elite members of society sat closest to the arena. The general public would then watch from the third ring or tier of seats in the Colosseum, located at the highest level of the structure. Admittedly, it may not be the best place to watch a show from. There were no big screens back then; you’d have to strain your eyes to see what’s happening at the arena down below. However, in these modern times, going up to the third ring is a treat. 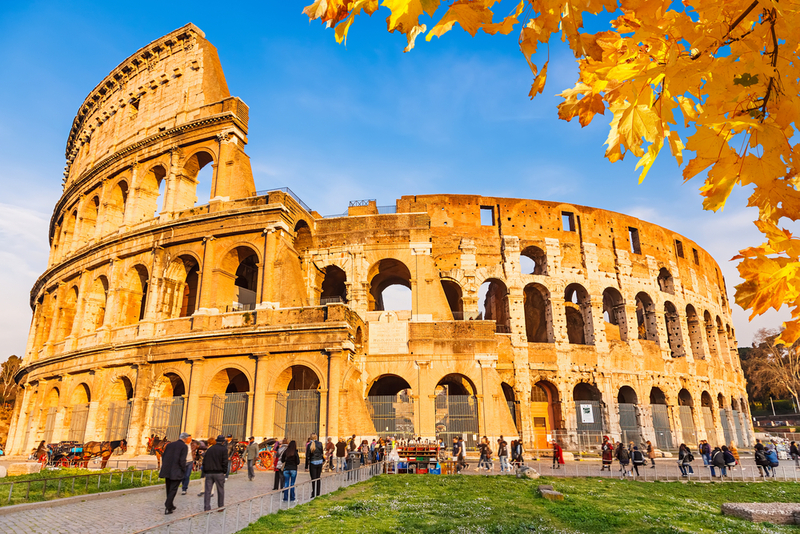 When you reach this level, you’ll be treated to a spectacular bird’s eye view of the Colosseum’s interior, as well as a stunning panorama of the surrounding Roman cityscape. 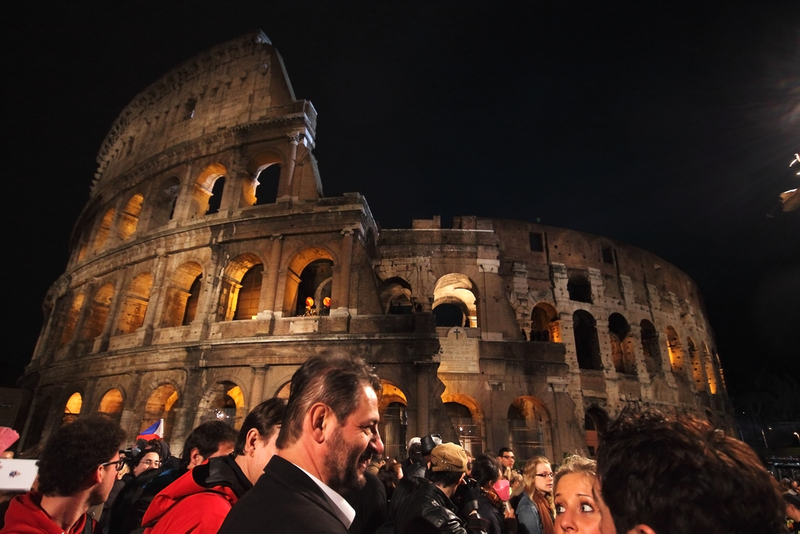 Only 3,000 people at a time are allowed inside the Colosseum for safety reasons. All bags are also screened before entering. As such, expect to fall in line for as much as two hours, even if you’ve bought tickets in advance. 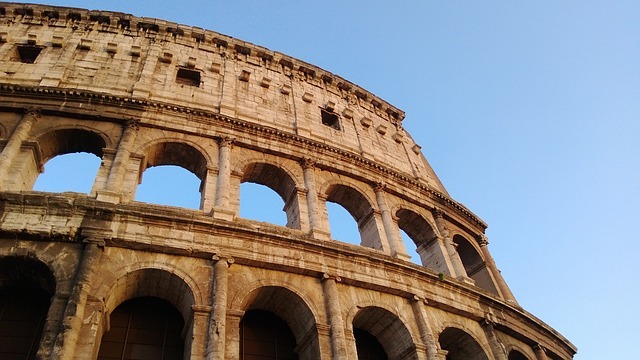 To make the most out of your Colosseum visit, make sure to have a guide while touring the structure. And it doesn’t matter whether it’s just an audio guide rented at the venue or a tour guide from your tour operator. With the information provided by your guide, you’ll definitely gain a deeper appreciation of this centuries-old landmark.